Damn, a lot of our favourite bands put out holiday tunes this year. Here’s a guide to finding the tracks and retiring that Mariah Carey holiday album for good. 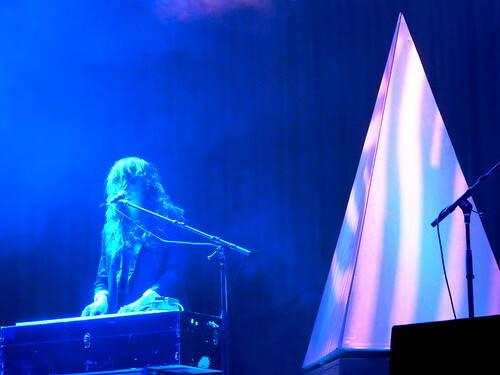 Beach House’s winter-themed song, “I Do Not Care For the Holiday Sun” has an appropriately morose title. Check out a live cover of “Little Drummer Boy” from Rural Alberta Advantage. The Ho! Ho! Ho! Canada Deux compilation offers a Pot of Gold-box’s worth of Canadiana Christmas songs, with selections from Ruth Miniken, Hooded Fang, Basia Bulat, and about twenty more. “Red White and You” by BC-band These Kids Wear Crowns is a free download this week on iTunes. Chromewaves did a round-up of his own, featuring tracks from Billy Bragg and Florence and the Machine, Summer Camp and Ohbijou. Yellow Bird Project posted a list of some of their holiday favourites, and also suggested heading to For Folk’s Sake to download their holiday charity compilation (small donation fee). You can listen to an entire album’s worth of Christmas songs courtesy of Manitoba Music. Saint Etienne have recorded a Christmas EP, A Glimpse of Stocking; physical copies are available online or at their shows, but you can listen to it online at the link. Zunior’s annual holiday album is available now on their site, for $8.88 — includes The Burning Hell and Jim Bryson, among others. Mother Jones asked a bunch of musicians to name their favourite holiday song; the results ranged from classic (Janelle Monae) to bizarre (Bradford Cox), sublime (Tim Nordwind) to shameless (Rivers Cuomo).